The Sopwith Camel was a British, two-seater hunting aircraft, which was introduced at the beginning of 1917 on the western front and became the most successful British aircraft of the war. After the development of the new German fighter Albatros D.III was completed at the end of September 1916 and series production began, the British Ministry of Defence gradually received data on the new German aircraft. It quickly became clear that the currently used Sopwith Pup was too weak to be used any further. Thus the development of a successor model was commissioned, which should exceed the known technical data of the German airplane or at least equal. Under the direction of the chief designer of the company Herbert Smith the development started under the name Sopwith F.1. Beside the designation F.1 the airplane was also called Big Pup, because it should replace the existing Pup. 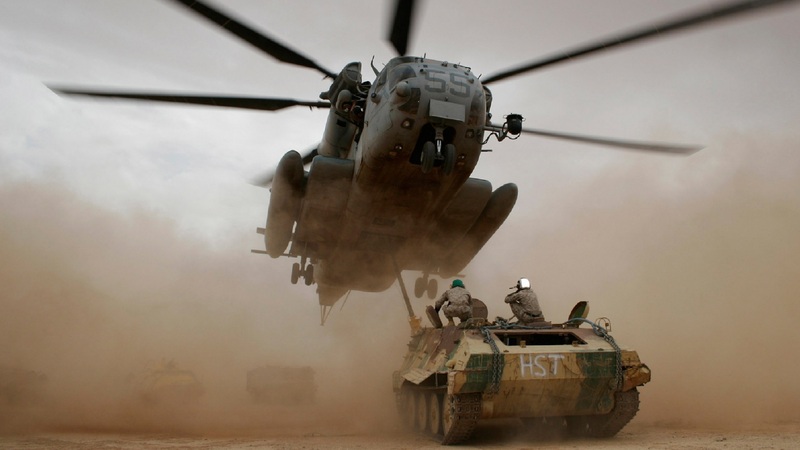 The later used additive Camel came from the metal cladding over the cannon pants to protect them from freezing at high altitudes. Because of this hump the plane got the name Camel quite early. 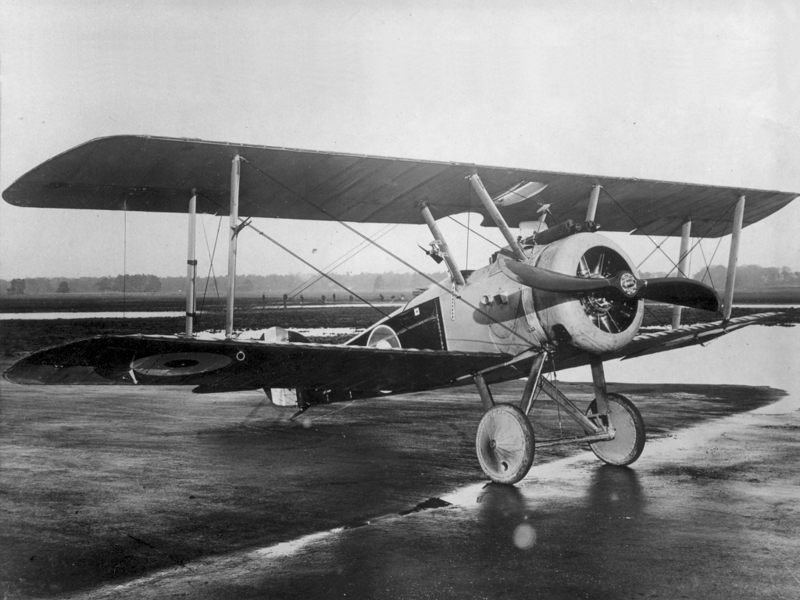 The fuselage was mainly taken from the Sopwith Pup and kept the conventional design, which consisted of a box-like fuselage structure made of wood, an aluminium bonnet, plywood panels in the cockpit and a fuselage, wings and tail covered with fabric. However, the overall dimensions were significantly larger than on the previous model. For the first time two coupled and synchronized Vickers machine guns were installed for the pilot. The German fighter planes already used two machine guns and thus had twice the firepower of the allied planes. 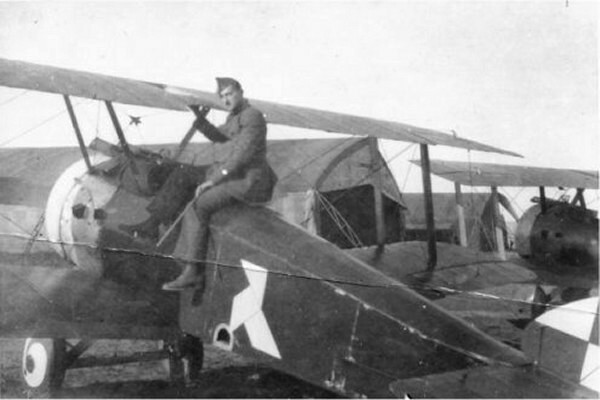 A few Sopwith Camel aircraft still had two Lewis machine guns mounted on the upper wing and had to be fired manually. In addition, up to 4 x 11.3 kilograms of bombs could be carried. 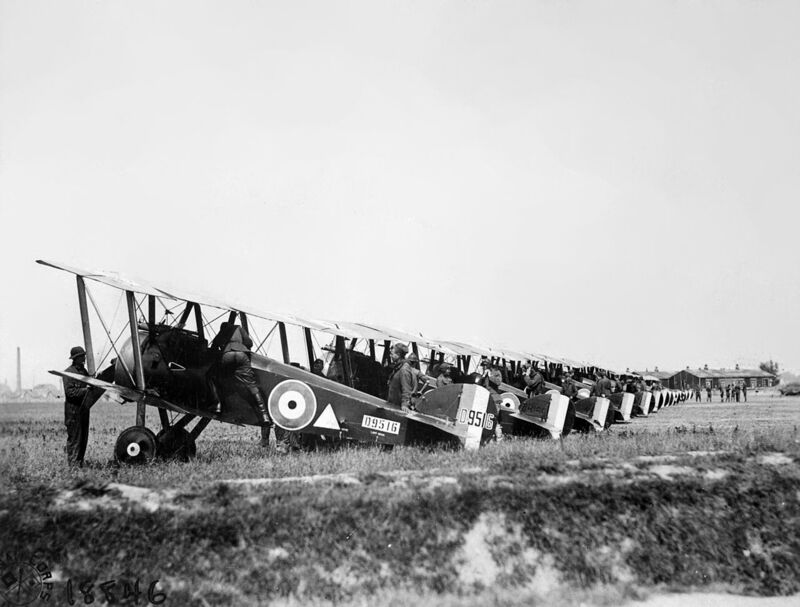 As the aircraft were of decisive importance for warfare, the British War Department instructed the aircraft to be equipped with various engines. This precautionary measure was intended to prevent production backlogs due to engine shortages and thus endanger the air superiority on the western front. Although Clerget 9B or Bentley BR1 engines were mainly used, other engines were available or installed for safety reasons. In December 1916 the first flights of the prototypes could be accomplished. Due to the fact that with the engine, the pilot, the machine guns and the tanks about 90 % of the weight were in the front area of the aircraft, it became very difficult to fly it. For inexperienced pilots this construction turned out to be very dangerous and until the end of the war more pilots died during the training in crashes than during the battles with the German pilots. In the hands of experienced pilots, however, the aircraft posed a serious threat to the German Albatros aircraft. Because of its equality the Sopwith Camel could build up a reputation as the best British fighter until the end of the war. Altogether about 5,490 airplanes were built. In June 1917 the 4th squadron of the Royal Naval Air Service was the first to be equipped with the new aircraft near Dunkirk. On 4 July 1917 the first deployment took place. 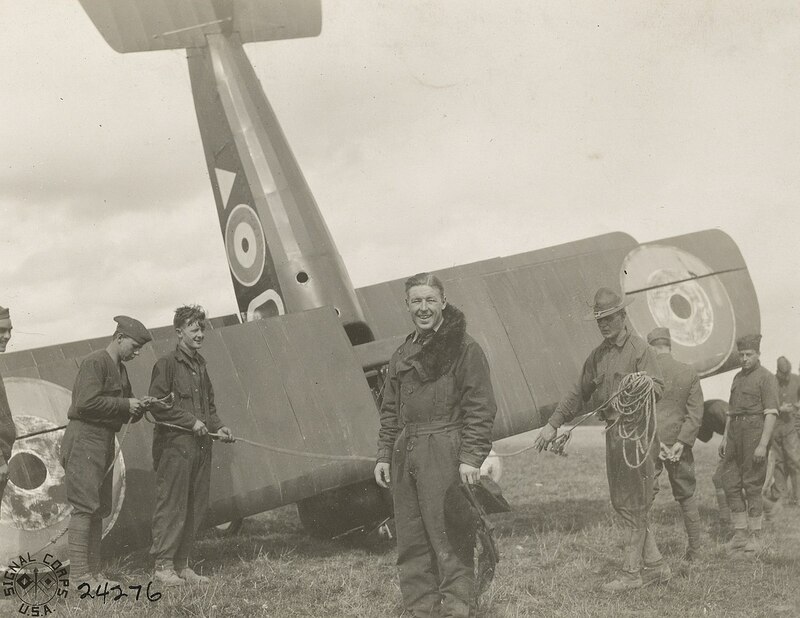 Until the end of July the 3rd and 9th squadrons of the Royal Naval Air Service and the 70th squadrons of the Royal Flying Corps were equipped with the Sopwith Camel. By the end of the war a total of 13 squadrons had been fully equipped with the aircraft. Others were at least mixed with other types. By the better maneuverability compared to the German Albatros D.III and D.V airplanes as well as the better armament and performance compared to the predecessor model the Allies succeeded in breaking the air superiority of the Germans with the S.E.5a and SPAD S.XIII airplanes up to the end of the war. Beside the use at the western front also many of the Sopwith Camel airplanes were used in Great Britain for the homeland defense. 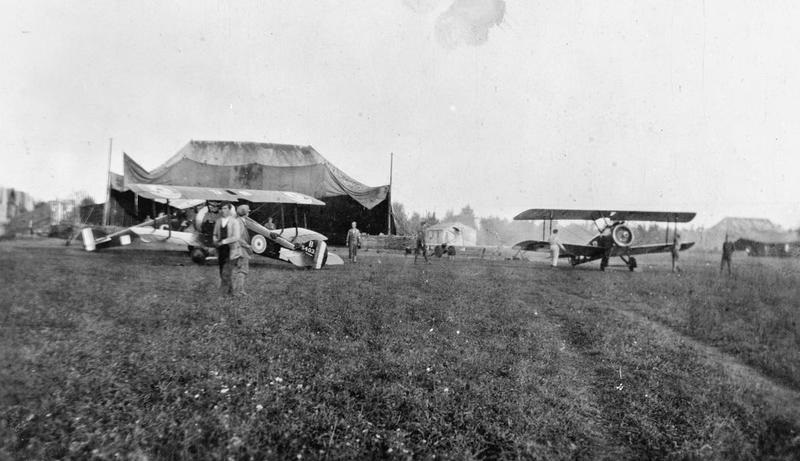 Due to the public protests at the government because of the bombardments of British cities by German bombers and the failure of the Royal Flying Corps at the defence, it was started from July 1917 to equip several squadrons of the homeland defence with the new airplanes. Until March 1918, almost all squadrons in Great Britain were gradually equipped with this type. When the German bombers began to carry out their flights at night, the British airplanes were equipped with navigation lights in order to be able to fly as night fighters. Up to the last attack at night from 20. to 21. May 1918 these were used.